The golf simulator is housed in a converted squash court on site at Haileybury. It uses high-resolution cameras, stereoscopic lens and state-of-the-art image processing to track the golf ball once it’s hit and measures the amount of spin and ball flight. 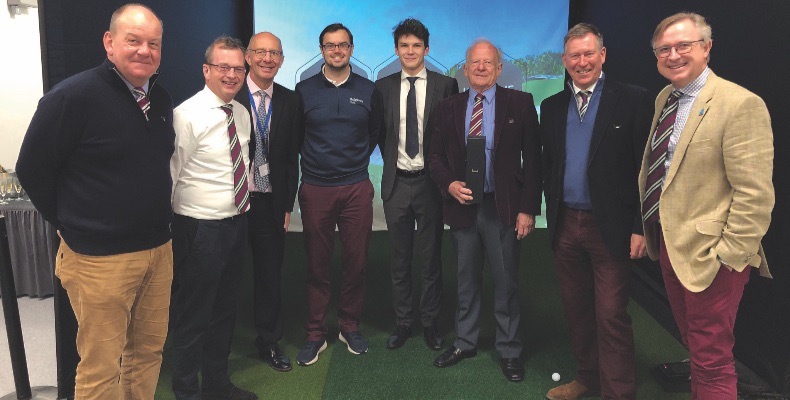 On the opening day, the master, Martin Collier, Gavin Mann, director of development, the master in charge of golf, Ian Sanders, and the captain of golf, Luis Schmitz, welcomed all guests, including five members of the Old Haileyburian Golf Society and current parents. The next phase of the project is to build an indoor putting green in the converted old squash court and add various other training aids. The second fundraising golf day on Friday 14 June will be held at Hadley Wood GC. The school’s highlight of the day was the ‘closest to the pin’ competition held on the iconic 8th hole from Royal Troon, the Postage Stamp. The president of the Old Haileyburian Golf Society, Sam Smale, won the competition, setting a mark that no one else managed to beat. Haileybury is an independent co-educational boarding and day school which offers education for boys and girls aged 11 to 18 years old.